Members must book tee-off time via SCC Golf Office every Monday at 10am for the following week. Please inform the club of any cancellation at least (2) days before the stipulated date of play. Each member shall be allowed to play only once a month, based on balloting (every Monday). All Buggy Fees are subject to prevailing GST and change without prior notice. Please call the Golfing Receptionist (+65 6486 0801) for the latest rate. Reciprocal arrangements are not valid on public holidays. Please check the golf club’s website for promotional rates. Visiting members must produce an Introduction Card or a Letter of Introduction with current date at the Reciprocal Club’s Golf Registration Counter upon arrival and before using the Club’s amenities. Visiting members must book his/her own tee-off time at least one week in advance, and to inform the Reciprocal Club of any cancellation at least two (2) days before the stipulated date of play. The frequency of reciprocity of each visiting member is limited to fourteen (14) days in any one calendar year unless otherwise stated. Facilities available for visiting members’ use are subject to rules & charges of the respective reciprocal club. Please contact the respective Clubs for Green, Buggy and Caddy Fees (where applicable). Visiting members must product an Introduction Card or a Letter of Introduction of current date at the Golf Registration Counter upon arrival and before using the Club’s amenities. Visiting members must book his/her own tee-off time at least one week in advance, and to inform the Club of any cancellation at least two (2) days before the stipulated date of play. Facilities available for visiting members’ use, are subject to rules & charges of the respective reciprocal club. 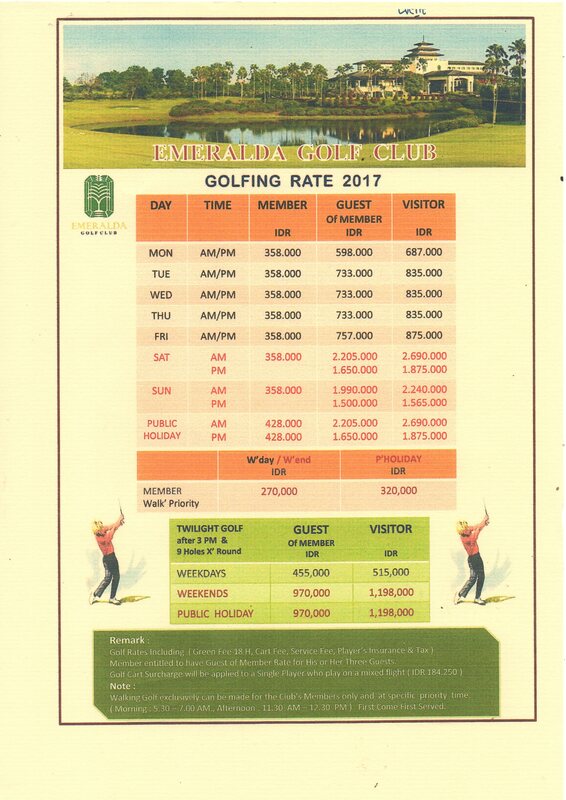 For booking of tee-time, please call the Payment Counter at 089-888-0648. Booking must be made by fax or e-mail. A deposit of 30% of total green fee is required 15 days prior to the event for reservation of 10 or more persons. Minimum guaranteed number of golfers must be made 10 days prior to the booking, 100% of number of golfers re-confirmed is considered as guaranteed amount and will remain as basis for computation for billing. No–show will be charged at 30% of guaranteed number. Deposit will be refunded only if cancellation is given in writing 7 days prior to the event. 1. SCC members will have to book your accommodation at the Mission Hills Resorts below first in order to enjoy the special rates. 2. Booking must be done at least 90 days prior to date of play. *Please click here for the promotional member rates at Mission Hills Shenzhen Resort & Mission Hills Dongguan Resort.